For the history buffs, the site has a long and painful past. A haven of peace nestled at the tip of the Rock, from which springs a cultural and artistic renaissance. 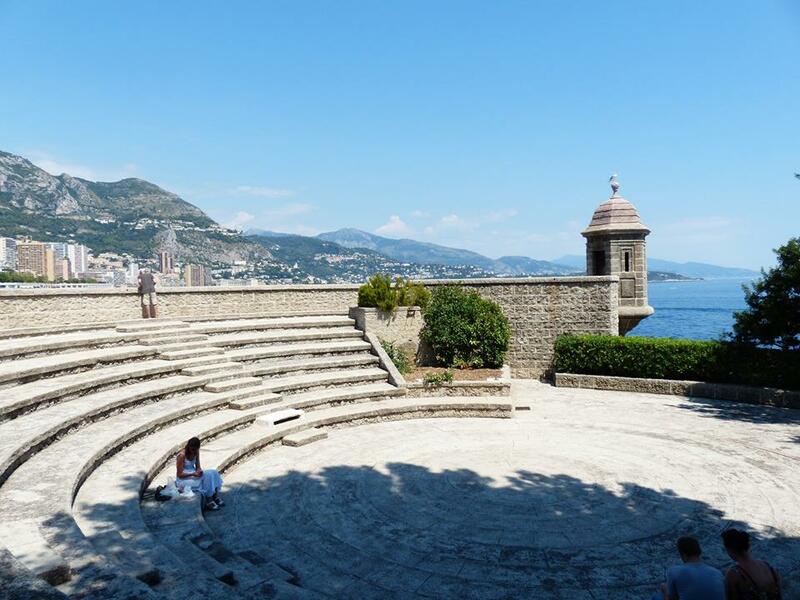 Its name is Le théâtre du Fort Antoine. During the Second World War, the theatre was requisitioned to stockpile ammunition. During the German occupation, it was destroyed by dynamite, eliminating the wall surrounding the bastion. In the 1950s, under the impulse of Prince Ranier, the site was reborn. In the 1950s, Prince Rainier made Fort Antoine a relaxing space for children. Now it has become an elite, open-air, summer theatre. He made it a garden without any other form of process destined for twenty years to the children of Monaco. Claude Matellini, one of Jean-Charles Curau’s predecessors, initiated the first cultural shift in the early 1970s with the creation of a festival dedicated to music and singing. The Théâtre du Fort Antoine was born. The theatre has become a dominant part of the summer since 2008, and the arrival of the current management team. Presumed change: less music, more theatre. The recipe of Fort Antoine is summed up in a sentence: as soon as night falls, we no longer see the sea, it is there but we no longer see it. When shows that speak of sea, moon, and sun are played there, it is very beautiful. 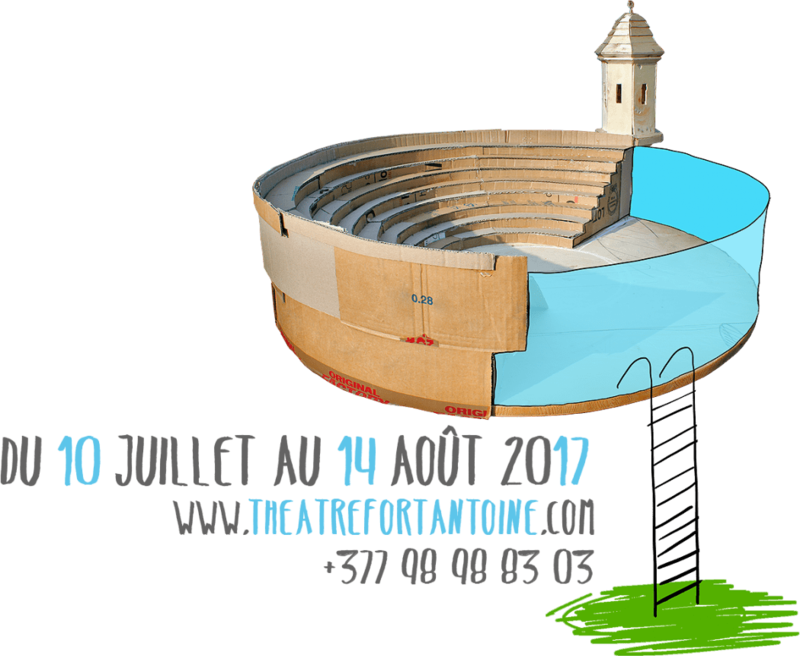 The 47th edition of the Théâtre du Fort Antoine began on July 10th. Two plays (My Traitor and Let’s Talk about Something else) have already been played on the theme “growing up and maturity”. Jo Bulitt, the event programmer, enthusiastically presents the four other shows of the 2017 season. Four brothers are left alone, without their father, now gone. It is a moment of union. What role will one take in relation to the other, how do you make a place in this new group? What are the levels between these brothers, how are they going to live or survive? It will be interesting to see how these issues will be addressed. –Le radeau de la méduse, by Georg Kaiser, directed by Thomas Jolly. Monday, 7 August, 21.30. It’s a text from the 1940s. A boat full of children was torpedoed. They were twelve in the boat when, finally, they realize they are 13 – the infamous number. As a mini-society, how do we live and survive in this space? This is where we realize that the human can go very far in survival. It is a magnificent proposal, in a boat, in the middle of Fort Antoine. It’s going to be sumptuous. –Les résidents, by Emmanuelle Hiron performed by the “l’Unijambiste” company. Monday, 14 August, 21.30. The final performance for the 47th edition. It is a contemporary piece from a company that deals with very powerful subjects. They will be right in the process of growing up, when we face death. This show will take us very far in emotion and in questioning. We end the season with something powerful, huge. It’s very well done. End with the end of life, something that ends but is going to be reborn … It’s perfect! Shows Mondays at 9 :30pm. Free entry, space is limited, reservations recommended.